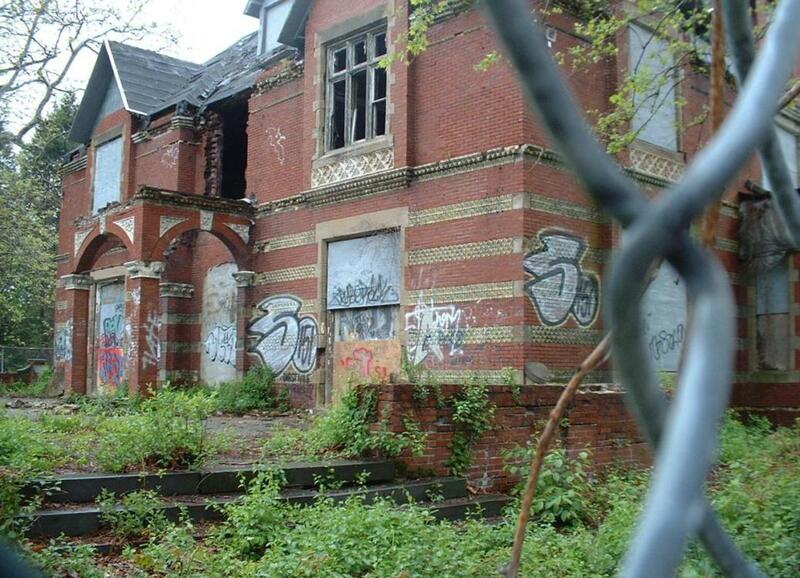 On a walk with my son a while back, we went to look at an abandoned house near Jamaica Pond. It looks like it had been quite a nice house once, but is now in complete disrepair, missing all of its window, plus some, covered in grafitti, parts burnt out, and surrounded by cyclone fence. It must have been a mansion at some point, not only because of its size and style, but because it is the only house in a 300-yard radius. I was curious about its history. 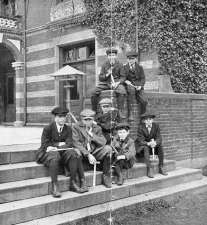 At the bottom of a run of stone steps down to the pond, the last step is engraved with an inscription about the steps coming from John Hancock’s Beacon Hill mansion. Searching the web for the text of the inscription led me to a page from the Jamaica Plain Historical Society: Pinebank, a Former Homestead in Jamaica Plain. The whole history of the house is there, including the fact that it was the home of the Perkins family, explaining why the nearby street is called Perkins Street. Poking around the site some more, I found a photo of the house from early in the 20th century. It’s amazing to see the decay, how something that was once beautiful can be left to rot. It’s hard to imagine that this house could have ever been so undervalued that it would be allowed to degenerate as it has. It is strange how a great building can fall to pieces this way, but I have seen it before. It seems a slippery slope sometimes, with a certain level of neglect making it too expensive to repair fully, and so nobody wants to take it on, and gradually, you get to this. Actually, there are whole neighborhoods like this in Philadelphia where it is hard to understand why anyone let them go. I suspect this house is beyond even Sue's super-human powers of optimistic restoration! I've walked pass that house a million times with my boyfriend, and evrytime I we visit that mansion we always wish we had the money to fix it right back to what it once was just so we could live there. Although, to everyones eyes this house may look a mess, it's the most beautiful mansion I have ever seen. Friends of Pinebank is now (December 2006) investigating stabilization or reconstruction. See our website, and contact us if you want to help. I agree that it is an incredibly beautiful site. I was awestruck when I happened upon it, and have since involved myself with the Friends of Pinebank. 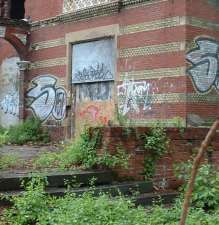 The goal is to adaptively reuse it so that it can become a multi-use community arts and education resource, and provide a much needed destination point in the Emerald Necklace.